# Another attempt at 'converting' perl scripts to a colour coded HTML page. # its original size ... adding colour coding COSTS! # MAY become $ln =~ s/</</g; which does NOTHING!! # BUT THERE ARE NO GUARANTEES ;=)) MAYBE I HAVE MISSED SOME CASES!!! # actual script, perhaps in a TEXT (.txt) file, on the web for example. # load flexible, as the perl.stx file can be adjusted as desired. # module, then these time references can be commented out. # and 'color' variables, $a_class, $a_color, $b_class, $b_color, etc. # size of the document. 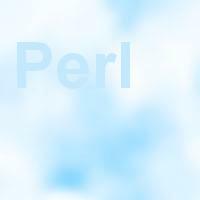 my $perlstx = 'C:/Program Files/EditPlus 2/perl.stx'; # fix location - or use local list! # The main file OUTPUT - that is the HTML file. # This converts the 'text' into HTML text, but only does a partial job! # but this adds a lot of extra weight to the file. prt( "IN ws, changed to NOT with [$ch] ". prt( "start of a COMMENT [$ch] ". prt( "start of a QUOTE [$ch] ". prt( "End of a QUOTE [$ch] ". $qtok = $ch1; # STORE THE END MARKER !!! # the EditPlus 2 perl.stx file. # if you do not have this file. Generated: Sat Apr 22 21:30:03 2006 from p2h03.pl.